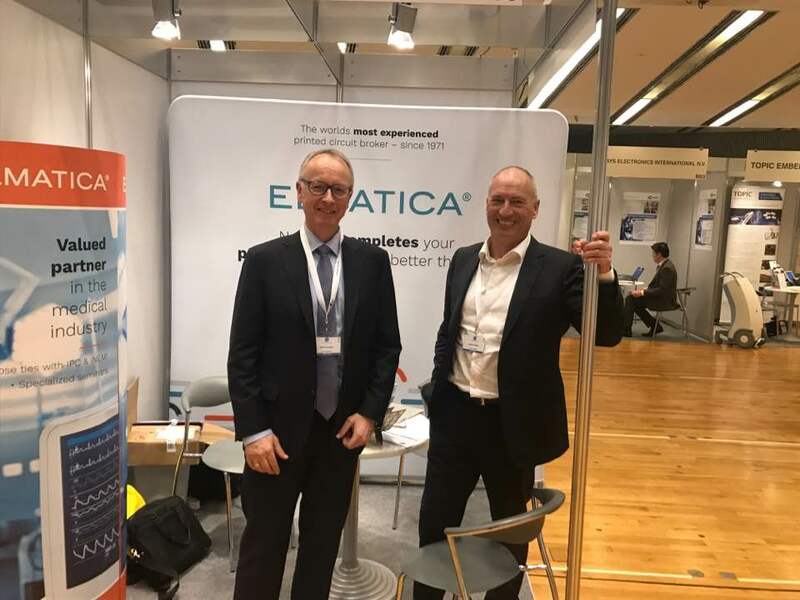 Elmatica is a trusted partner in the medical industry, thus, participation at the Medical Devices Meeting in Stuttgart this week, was important for us. Jochen Summ, Country Manager in Germany and Senior Technical Advisor, Jan Pedersen from Norway joined forces in Stuttgart. Pedersen presented new findings after APEX, and revealed current status of the addendum, IPC-6012 and 6013, how the standard will relate to Medical reliability and Risk assessments and gave a frame description of the new standard. Our target is that the new standard will be mandatory for all Electronic devices used in Medical Applications. More members in this task group are needed, so feel free to contact us if you have some valuable input. Medical Equipment manufacturers are in particular wanted this time. Thanks to all that visited our stand, participated in discussions, challenged our knowledge, gave us a good laugh or had a coffee with us. It was a true pleasure!